WASHINGTON, D.C., June 12, 2017 – An aging population, international immigration and fewer home purchases are resulting in an increased need for new apartments. The Seattle metro area is expected to need 98,228 new apartments by 2030 to keep up with local demand, according to a new study commissioned by the National Multifamily Housing Council (NMHC) and the National Apartment Association (NAA). The study found that, nationally, 4.6 million new apartments are needed by 2030. This growth would increase economic activity in Seattle and across the country. An average of 5,884 investment-grade units were built annually between 2011 and 2016, according to data from Axiometrics. Seattle will need to average 7,016 new units (5+ properties) per year in the coming years to meet the expected demand. The Seattle metro area will need all types of apartments and at all price points to be built. Seattle is ranked #11 out of 50 metro areas in terms of projected apartment demand by 2030. The ranking measures the number of rental units needed by 2030 in apartment buildings of 5 units or more. Hoyt estimates that there are currently 406,028 apartments in the Seattle metro area, with residents that span the age and income spectrum. Seattle apartment developers, owners and property managers and their residents contribute $15.5 billion to the local economy annually. The aging population. People 65-plus will account for a large part of population growth going forward across all states. The research shows older renters are helping to drive future apartment demand. Immigration. International immigration is assumed to account for approximately half (51 percent) of all new population growth in the U.S., with higher growth expected in the nation’s border states. This population increase will contribute to the rising demand for apartments. Research has shown that immigrants have a higher propensity to rent and typically rent for longer periods of time. Delayed house purchases. Life events such as marriage and children are the largest drivers of home ownership. In 1960, 44 percent of all households in the U.S. were married couples with children. Today, it’s less than one in five (19 percent), and this trend is expected to continue. “Apartment rentals are on the rise, and this trend is expected to continue at least through 2030, which means we’ll need millions of new apartments in the U.S. to meet the increased demand. The western U.S. as well as states such as Texas, Florida and North Carolina are expected to have the greatest need for new apartment housing through 2030, although all states will need more apartment housing moving forward,” said NAA Chair Cindy Clare, CPM. There will also be a growing need for renovations and improvements on existing apartment buildings, which will provide a boost in jobs (and the economy) nationwide. Hoyt’s research found that 51 percent of the apartment stock was built before 1980, which translates into 11.7 million units that could need upgrading by 2030. Based on research conducted by Hoyt Advisory Services and commissioned by NAA and NMHC, the data includes an estimate of the future demand for apartments in the United States, the 50 states and 50 metro areas, including Seattle. For the purposes of this study, apartments are defined as rental apartments in buildings with five or more units. The data are available on the website www.WeAreApartments.org. In conjunction with the study’s release, the website www.WeAreApartments.org breaks down the data by each state and 50 key metro areas. Visitors can also use the Apartment Community Estimator – or ACE – a tool that allows users to see the trends in their state or metro area to determine the potential economic impact locally. For more information, visit www.WeAreApartments.org. Find out more about the Seattle metro area’s apartment demand at www.WeAreApartments.org/data/metro/seattle. More information about the methodology used in this study can be found at www.WeAreApartments.org/about. 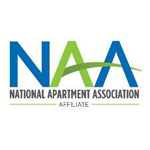 For more than 25 years, the National Multifamily Housing Council (NMHC) and the National Apartment Association (NAA) have partnered on behalf of America's apartment industry. Drawing on the knowledge and policy expertise of staff in Washington, D.C., as well as the advocacy power of 170 NAA state and local affiliated associations, NAA and NMHC provide a single voice for developers, owners and operators of apartment rental housing. Today, more than one-third of Americans rent their housing and 39 million people live in an apartment home. For more information, please visit www.nmhc.org or www.naahq.org. The Washington Multi-Family Housing Association (WMFHA) is the Washington State chapter of the National Apartment Association. WMFHA is a collection of more than 100 Property Management companies, over 1,100 Apartment Communities, representing nearly 200,000 apartment homes, with 200 service supplier companies working together to promote and enrich the multifamily housing industry in Washington State. For more information please visit www.wmfha.org.